Want to know more about the InfoPoint app? Click here to watch the video. 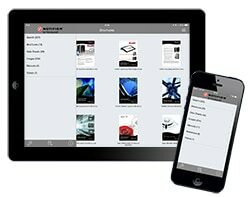 The Notifier InfoPoint app is now available for Apple IOS devices on the Appstore and Android devices on Googleplay. Are you part of the Notifier ESD Network or an International Partner? If so you get even more access to materials such as technical manuals and audio clips, simply complete this form and we'll provide you with a user name and password.